Trinity Church Adelaide is Adelaide’s first church. It’s old and beautiful—just like our message of hope! This church and the hundreds of people who meet in it each week are part of a living history—a group of people who know that faith in Jesus is as relevant today as it was when the state of South Australia was first settled. We exist not just for Christians but for anyone who wants to investigate the claims of Jesus—the person at the very heart of Christianity. The reality of what God has done for us in Jesus has a profound impact on the way we live our lives. Whether you’re a local resident or you’ve moved to Adelaide from the country, from interstate or from overseas, you are most welcome to join our friendly church community. 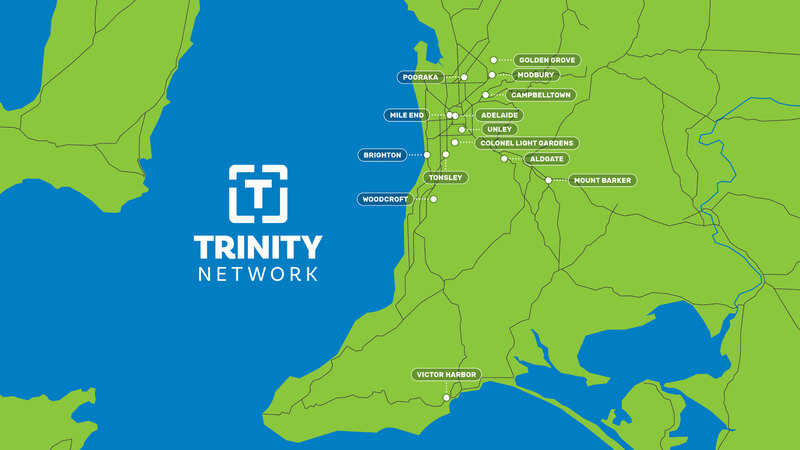 Trinity Church Adelaide is part of the Trinity Network—a growing network of churches that work together to reach Adelaide and South Australia with the good news of Jesus Christ and the call to follow him.